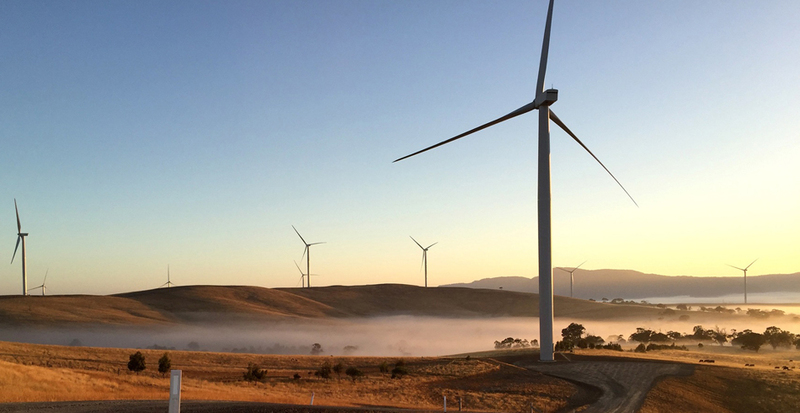 Wind generation in Australia hit record-high levels in July, according to a new report. The Australia Institute has released its monthly Electricity Update of the National Energy Emissions Audit for August 2017. The report, by renowned energy analyst Dr Hugh Saddler, showed July was a strong month for wind generation in contrast to the previous month. The highest-ever monthly total generation was recorded at 1.36TWh. Particularly high levels of generation were achieved in South Australia, where the month average capacity factor was 49 per cent and generation was equal to 47.5 per cent of all grid electricity generated in the state. “The reduction in brown coal production in the NEM is being met by increased black coal as well as increased renewable production – notably wind power, which bounced back to record another all-time production record in July,” Dr Saddler said. The report also showed “dead flat” demand across the National Energy Market (NEM). “With both national economic activity and population continuing to grow, electricity consumers are continuing to respond to ever-rising prices by using electricity more efficiently, as they have been doing for most of the past seven years,” Dr Saddler said. “This year consumers have seen a very sharp rise in electricity price due to generation costs. “However, for the last six years price rises seen by consumers were almost entirely caused by network ‘gold-plating’. NEM electricity generation emissions were down slightly, according to the report, with a sharp fall in the year to June 2017, compared with the year ending just one month earlier.